is a food and culture writer whose work has appeared in The Atlantic and Rolling Stone, among others. She lives in Jersey City. Yet I’ve found that ignoring my family for the sake of my sanity can be therapeutic. Smartphones seem to cause more trouble than they’re worth: these devices have opened up a universe of new ways for people (not just family) to bother us. One study from the American Psychological Association in 2017 found that constantly checking emails and texts contributes significantly to our overall stress. 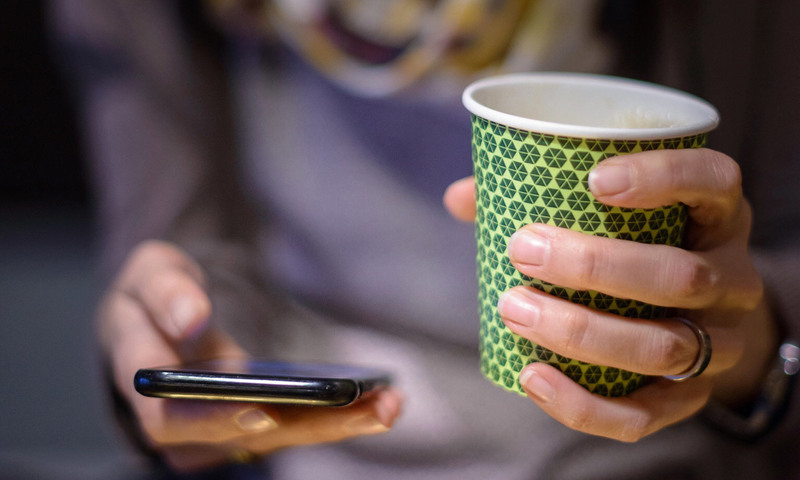 Nancy Cheever, professor of communications at California State University, Dominguez Hills, researches how cellphone use affects our moods, and says that being ‘constantly connected’ through email, text and social media guarantees that you’ll experience anxiety. The distraction seeps into your work life, too: as Scott Bea, a psychologist at the Cleveland Clinic in Ohio, told the Daily Mail last year, constantly checking your notifications can drop productivity by about 40 per cent. Sometimes, it’s impossible to avoid texts from work, but you can give yourself permission to take a break from texting with family. Writing for Psychology Today in 2014, Theresa DiDonato, a social psychologist at Loyola University Maryland, said that constant texting can lead to ‘a cycle of mobile relationship maintenance’, in which ‘individuals begin to feel an overdependence’, potentially violating your sense of privacy and autonomy. The otherwise innocuous act of texting can then strain close bonds between loved ones, and even create feelings of resentment toward people who are probably well-intentioned, but unaware of the toll of their excessive communications on your psyche. If texting ‘is starting to feel frustrating, stressful, or if you’re overwhelmed or trapped by it, that’s a good indication that you need to set a boundary’, I was told by Dana Gionta, a clinical psychologist in Connecticut and the co-author, with Dan Guerra, of From Stressed to Centered (2015). For most people, she notes, a barrage of text messages leads to an unwelcome – even distressing – distraction. That would hold true for text messages from anyone, but what makes it extra-frustrating from family is that the distraction is now coupled with a feeling of obligation. There’s pressure to get back to a family member and this can weigh on you while you’re trying to accomplish other tasks. If you’re receiving a stream of (non-emergency) texts from loved ones (on subjects ranging from, let’s say, family gossip to plans for a visit or critiques of films), you’ll probably feel required to read each one to keep up with the conversation. The result is what Mark Dombeck, a psychologist in California who has written extensively about boundary-setting and assertive (as opposed to aggressive) behaviour, calls a ‘cognitive load’ that you might find difficult to take on in the midst of other responsibilities. Yet your responsibility to family will inevitably seem more urgent, and weigh heavier on you, than all the others. ‘Family relationships are important to most people and there will be a motivation to follow social protocols and respond when queried, creating a feeling of pressure which might not be present in relationship with a stranger,’ he notes. What you must do, he tells me, is make an assertive statement. Assertion is the ‘fulcrum, the balance point’ between aggression and passivity. But unlike aggression, assertion shouldn’t come from a place of hostility. When it comes to gently asking family to stop texting you, that means being straightforward and firm. ‘Please text me only for true emergencies’ is the kind of language he suggests. While we can’t control or predict how other people will react to our actions, Gionta adds, we can control ‘how we express ourselves and the level of consideration and respect that we use’. As long as you state your case calmly and with kindness, you shouldn’t feel beholden to someone who guilt-trips you, or makes you feel obliged to participate in a text thread that stresses you out. You should also feel empowered to completely ignore people with toxic responses. Dombeck says that, in families where one person feels entitled to power over others, ‘any encroachment on that power is going to feel aggressive’. Those people might demand that you justify your actions or subject you to so-called flying monkeys: other family members who have been dispatched to check on you.